After sitting vacant for more than a decade, the first phase of construction broke ground in 2017 on the existing Deer Track Golf Course South in Surfside Beach. Once shrouded in controversy, litigation brought redevelopment of this golf course to a standstill. G3 Engineering assisted the owner by walking them through the infinitely complex permitting process for this multi-phase project. Introducing D.R. 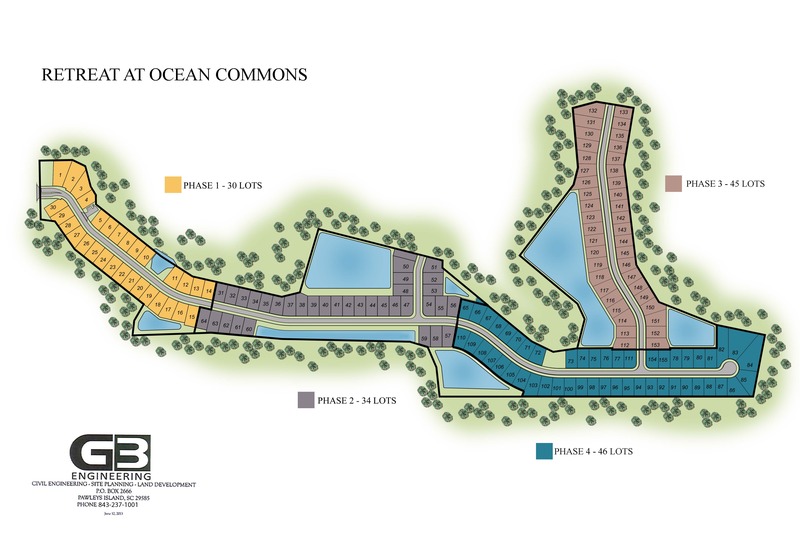 Horton's newest community, The Retreat at Ocean Commons! Centrally located between Highways 17 Bypass & Business and near Highway 544, this community will feature over 150 lots with a mix of single story and two-story homes within the previously known Deerfield Plantation.